Take a trip into sound. Discover the diverse origins of sound. 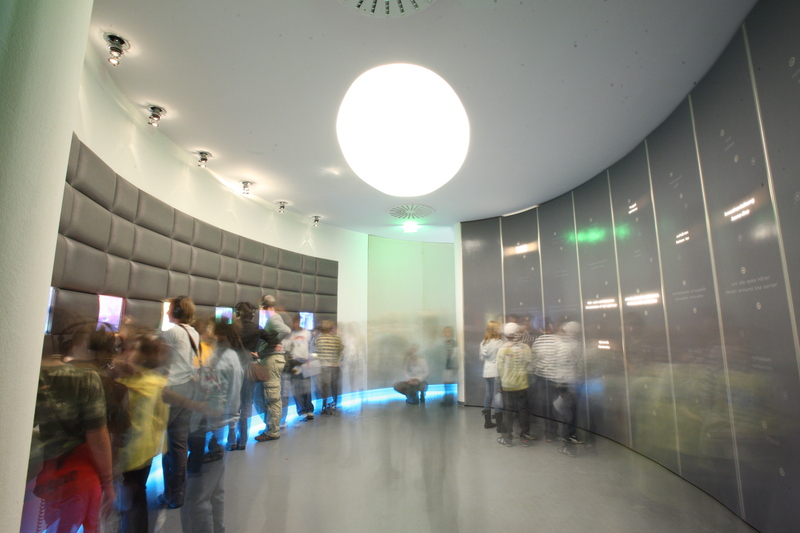 The second floor is dedicated to discovering and experiencing sound phenomena. How is sound produced? What are sounds made of and how can they turn into music? How does the human body perceive sound und music? 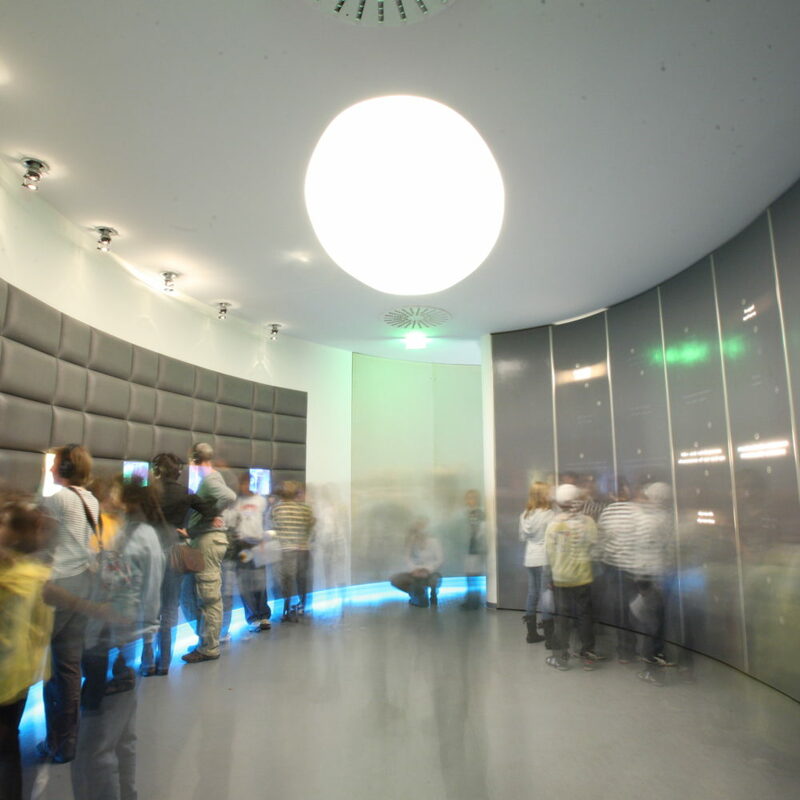 The second floor will not only answer this questions, it also offers a variety of musical experiments and interactive exhibits! Experience sound as an unborn child. 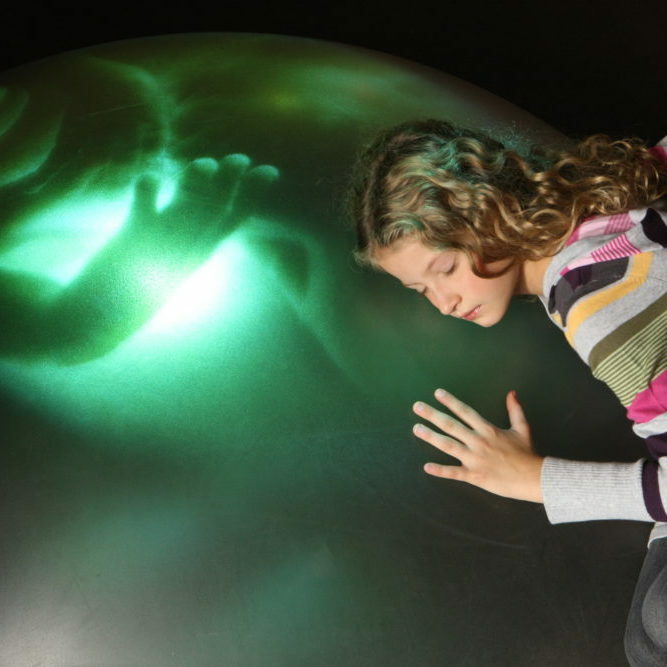 Relive the long forgotten with the Prenatal Sensory Rush. 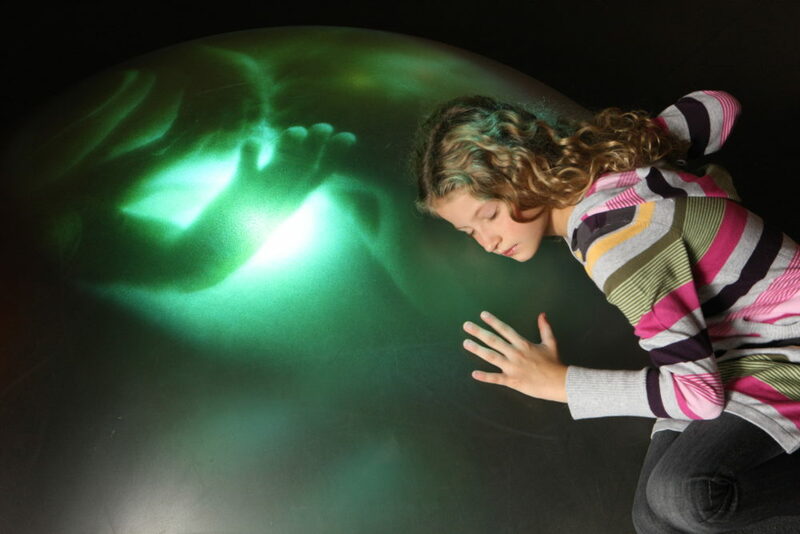 In a “prenatal sensory rush”, visitors relive their first musical experiences of the womb many years after their birth. In the Instrumentarium they discover larger-than-life instruments, while in the Sea of Voices they see the voice as the most natural musical instrument. Visitors are taken on an acoustic journey, discovering everything from simple sounds to complex vocal phenomena. Sound gallery, Polyphonium, Perception lab. The origin of sound. A long aisle leads from the Instrumentarium to the Polyphonium, where the “Classic Reloaded” surround sound envelops the listener and offers a place to relax. Instrumentarium and Sea of Voices. Experience sound production on oversized instruments. Adjacent to it is the Sound Gallery, in which noises and sounds from the fields of microcosm and macrocosm, environment and the human body are listened to individually and are mixed with one’s own voice and well known melodies to then be recorded on a CD with the Evolution Machine. 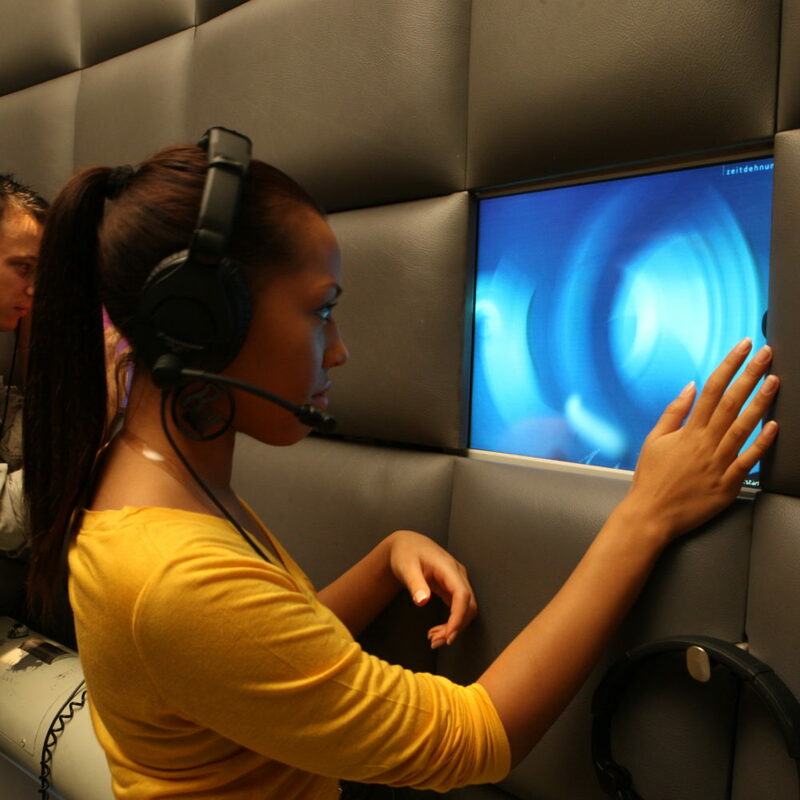 For this unique listening experience, the latest mixed media and multi media installations, special exhibition items and computer simulations have been developed.